If you have ever tried to navigate the perilous waters of VA loans, you know the process can feel overwhelming – especially when you are trying to choose a lender. If you are planning to secure a VA loan at some point, you’ll want all the support and information you can get which is why RE Factor Tactical recently published a handy guide ranking VA lenders after recently going through the process themselves. 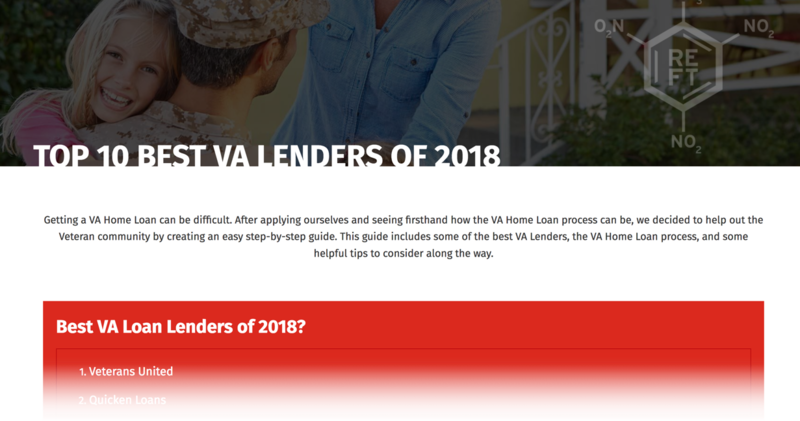 The guide starts with ranked VA Lenders along with reasons you may or may not want to choose the lender being profiled. It also goes on to cover several additional topics like loan types, the various fees you’ll face, information on the application process, and more. It is basically an overview of the entire process that is easy to read and can be referenced at any time. 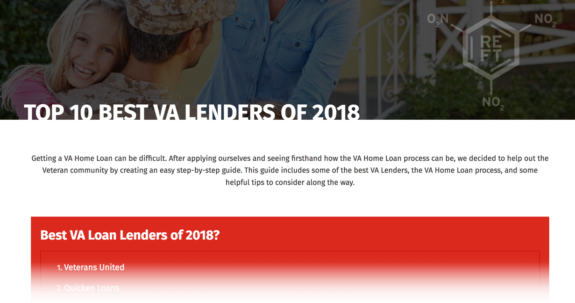 You can read more at the RE Factor Tactical Blog: Top 10 Best VA Lenders of 2018. Perfect Timing! We’re looking to purchase our first home.